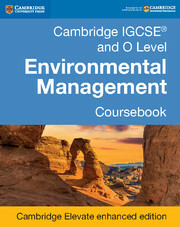 Cambridge IGCSE® and O Level Environmental Management Teacher’s Resource CD-ROM is tailored to the IGCSE (0680) and O Level (5014) Environmental Management syllabuses for first examination in 2019, and is endorsed for teacher support by Cambridge International Examinations. The teacher’s resource contains customisable and time-saving teaching guides for each chapter including lesson plans, homework ideas and advice on how to tackle common misunderstandings and misconceptions, as well as additional recommended resources to help students extend and deepen their knowledge. 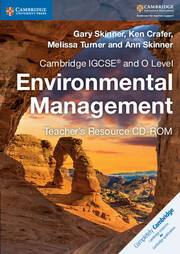 Endorsed for teacher support by Cambridge International Examinations, so teachers and students can feel confident that the resources are appropriate for teachers’ needs. 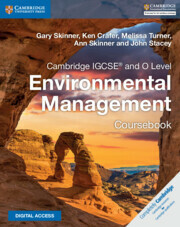 Contains customisable and time-saving teaching guides for each chapter including lesson plans, homework ideas and advice on how to tackle common misunderstandings and misconceptions, as well as additional recommended resources to help students extend and deepen their knowledge. Advice on conducting practical activities and using case studies as a learning tool and guidance on exam preparation to support teachers and students in answering exam questions. 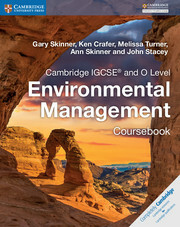 Answers to all questions from the coursebook. Answers to practical activity questions.